Owl Pendent discovered at Baker Village. Photo © NHMU. Objects are the best storytellers. They can be simple and subtle, yet captivating and cryptic. They embody ideas, significance, and context; as they are found, or created, traded, stolen, borrowed, and broken, they become the currency of culture. It’s why we call them vessels: they transport meaning. When studying people, particularly through hundreds and thousands of years of time and sediment, it is their objects that survive to tell their stories. In the case of the Fremont, the indigenous people that inhabited much of what is now Utah for over half a millennium, those stories have been preserved at sites like Baker Village, a Fremont settlement near the present-day Utah-Nevada border. The stories are sherds of pots, baskets, moccasins, stones, shells, buildings, and more. And sites like Baker Village have been keeping those stories, waiting for them to be told. 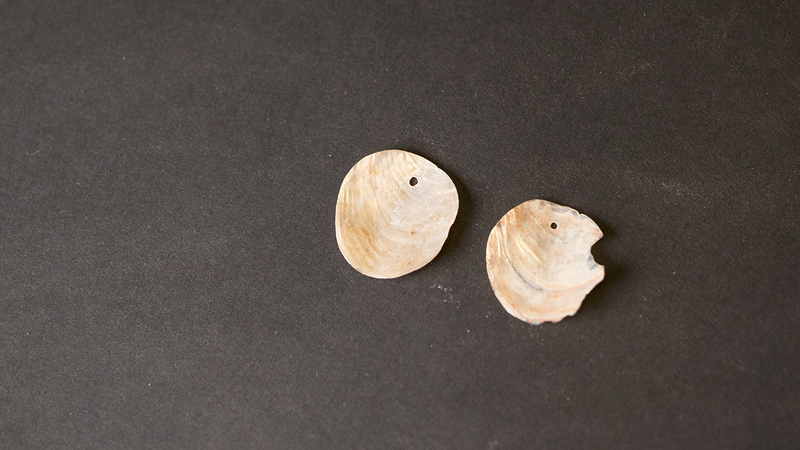 Shell Earings discovered at Baker Village. Exotic objects like shell are evidence of a broad trade network.Photo © NHMU. The Fremont lived across the Great Basin and Colorado Plateau from roughly 650 CE to 1350 CE. They were prehistoric horticulturists, who both hunted and gathered as well as farmed. While their Ancestral Puebloan counterparts to the south gathered and lived in relatively larger communities like Keet Seel and Betatakin, the Fremont were less sedentary and tended to live in smaller communities. However, as populations grew and technologies advanced, they became more sedentary. According to BYU anthropologist Rich Talbot, it was around 900 CE that the Fremont began gathering in larger communities. It was at these sites, villages of several hundred, that the Fremont would gather for ceremonies. People travelled from across the region to gather and celebrate. They gambled, feasted, gave gifts, and traded. Fortunately for anthropologists like Talbot, they left a lot behind. Talbot has studied the Fremont for much of his career, and from 1991-1994 he worked with his predecessor, Dr. Jim Wilde and the BYU Archaeology Field School, to excavate one of the most revealing and mystifying Fremont sites discovered to date: Baker Village. BYU Archaeology Field School excavating Baker Village. Photo © Rich Talbot. 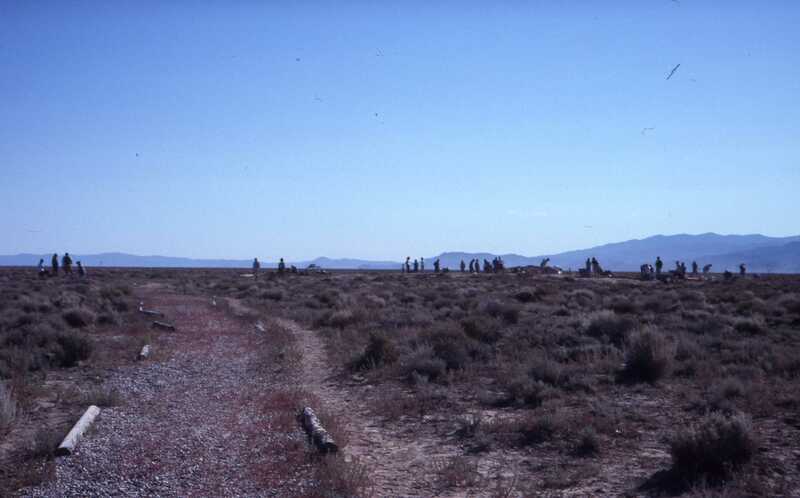 Situated on the western edge of Fremont territory, what is now the Utah-Nevada border, Baker Village housed several hundred Fremont from roughly 1000 – 1300 CE. Baker Village is somewhere in between. It is the largest village discovered to date in the western region of Fremont land, however, with its seven pithouses (think town hall meets mess hall), Baker Village is considered medium sized in relation to those more densely populated villages found in the heartland of Fremont territory. Researchers are unsure of its exact size, however, as much of the village has been plowed over and destroyed as it rests on what is now private land. But aside from its significant size and peculiar location, Baker Village reveals key insights into Fremont life that make it unique. In his extensive excavation and study of the site, Talbot and his team discovered items normally found at Fremont sites such as ceramic ware and granaries, but they also discovered exotic items like sea shells and turquoise. These goods would have been harvested as far as hundreds of miles from their final destination at Baker, and are evidence of complex and broad trade networks that suggest more nuanced political structures than ever before understood. Trade is an indicator of socio-political contexts as much as it is of sheer economics, and sites like Baker Village—social and political hubs, akin to modern cities—provide the most complete record of who was trading what and why. 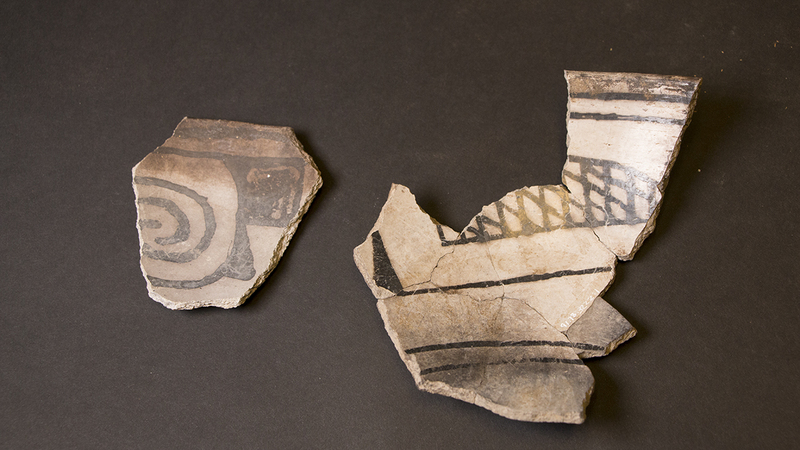 Pottery sherds found at Baker Village display designs common of neighboring peoples, such as Kayenta Anasazi. Photo © NHMU. Exchange of goods is a social performance brimming with social and political motivations. Like any culture, the Fremont were deeply engaged in complicated and nuanced societal construction defined by power. Vestiges of these political structures can also be found in the actual, physical structures found at Baker Village. Talbot and other researchers determined that the buildings at Baker were arranged to mark the winter and summer solstices. Hints of this kind of advanced urban planning around astronomical alignment are present at other Fremont sites, but none as clearly as Baker. These complexities are socio-political indicators, Talbot says, that tell us that somebody there is calling the shots. Somebody with a deep understanding of the world around them and the people they live with.